International hostel with a Mexican taste, managed by a Mexican family from Puerto Escondido. 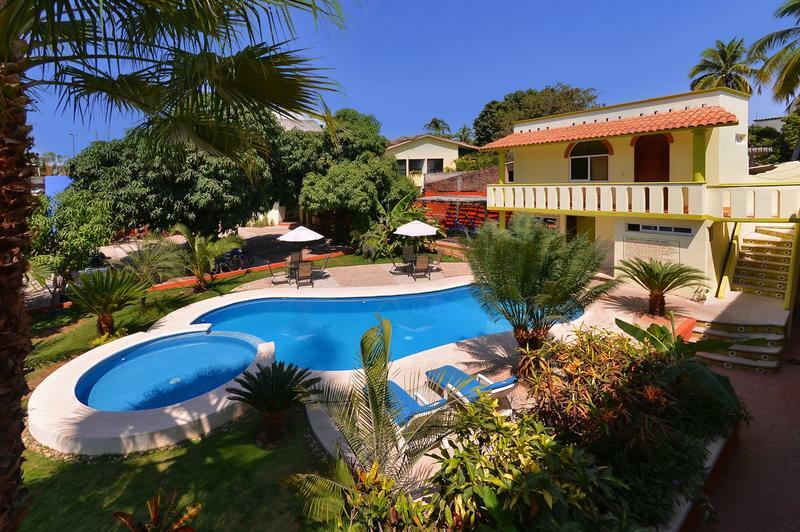 Great location close to the best beaches where you can swim and take advantage of all other aquatic sports (Playa Carrizalillo, Playa Puerto Angelito, Playa Manzanillo) all within 10 minutes walking distance. We are located close to the bus terminal, super markets, town markets, public transportation and just steps from the Rinconada commercial district, where you'll find good restaurants, bars and shops that fit your budget. We offer you bedrooms, private rooms and apartments, a swimming pool surrounded with a beautiful garden, hammock area where you will be able to relax with the sounds of nature. We have a kitchen for guests, BBQ area, and a common area in Mexican palapa where you can spend time with other guests while enjoying your drinks and meals, games, movies and your favorite’s music. 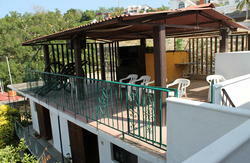 Internet Access (Wi-Fi), laundry service, professional Surf and Spanish lessons are also available. Our commitment is to offer you a calm and comfortable environment, quality service at an affordable price. This is your place to enjoy the natural beauty of the Oaxacan coast. 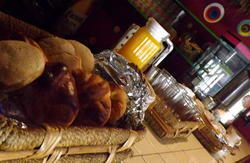 Hostal Losodeli is located at the corner of Coastal Highway 200 (Carretera Costera) and Prolongacin 2. Norte street, between Fire Department and City Hall. Its 5 minute walk to our property, walk along the highway Carretera Costera uphill towards City Hall (Agencia Municipal), after you reach City Hall walk one more block further to get to 2nd North street (2 Norte) and turn left acrooss the highway Carretera Costera and you will see our Property Losodeli. Taxi costs $20 mexican pesos . Its 15 minute walk to our property, get on 4. Poniente street and walk downhill around 9 blocks pass market and grosery store Aurrera until you reach the gas station, walk one more block and turn to your right, cross the highway Carretera Costera and you will see our Property Losodeli. Taxi costs $25 mexican pesos.